Are you a foreign national who wants to live in or visit South Africa? Then you’ll need a South Africa visa to enter the country and do so. The first step is finding out if you qualify for a South African visa and which one if you do. Our job is, of course, to assess your eligibility for a South African visa, but our job also entails providing you with clear advice on South African immigration. Temporary and permanent residency options. South Africa visa options for South African companies who want to employ foreigners. How to determine your eligibility for a visa. How to apply and where to apply from. Processing times for visa applications. Renewals of temporary residency visas. The main role players in the visa application process. The South Africa visa for short-term stays (visitor visa). Who needs a visa for South Africa? 1. Do you want to work in South Africa? Do you have an occupation that appears on the South African critical skills list? Would your spouse or life partner and children like to join you in South Africa? Would you like to apply under a category that also offers permanent residency? Have a look at the Critical Skills Work Visa. Do you have a job offer or are looking to secure one, but you don’t have a critical skill? Do you want to eventually have the opportunity to apply for permanent residency? Have a look at the General Work Visa. Does your employer want to send you from an overseas company to a branch, affiliate or subsidiary in South Africa? Would your stint in South Africa be for a maximum of four years? Have a look at the Intra-company Transfer Work Visa. Has a South African company who wants to employ you applied for and received individual corporate permits? Would your assignment in South Africa be short-term only? Have a look at Corporate Workers Visas. 2. Do you want to join your South African spouse in South Africa? Is your spouse a South African citizen or permanent resident? Have you and your spouse been married for less than 5 years? Do you have a valid marriage certificate? You may be eligible for a Spousal Visa. Is all of the above true, but you and your South African spouse have been married for longer than 5 years? You may be eligible for a Spousal Permit. 3. Do you want to join your South African life partner in South Africa? Is your life partner a South African citizen or permanent resident? Have you and your life partner been in a relationship for at least 2 years? Can you prove that your relationship is real, including cohabitation of at least 2 years? Can you prove that a sum of R8,5000 per person per month is available for living expenses? You may be eligible for a Life Partner Visa. Is all of the above true, but you and your South African life partner have been in a relationship for longer than 5 years? You may be eligible for a Life Partner Permit. 4. Do you want to join a relative in South Africa? Do you want to join a South African relative in South Africa? Are you the parent, child, spouse, grandparent, grandchild, brother or sister of the South African? You may be eligible for a Relative Visa or Permit. 5. Do you want to set up a business in South Africa? Is your emigration goal setting up a business or buying into a business in South Africa? Do you have R5 million to invest? Would you like the option of applying for permanent residency? Have a look at the Business Visa. 6. Do you want to retire in South Africa? 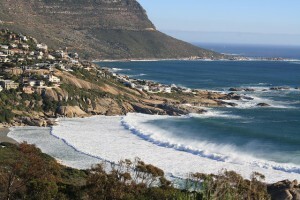 Do you want to swop the European winters for South African summers? Or, do you want to spend your retirement years in South Africa? Or, do you want to stay in South Africa for extend periods of time but not move here permanently? Are you comfortable with just visiting, i.e. not working, studying or doing business while in South Africa? Can you prove a minimum guaranteed income of R37,000 per month for the duration of your visa, which is usually 4 years? Have a look at the Retired Visa. You can’t prove a guaranteed monthly income of R37,000 but can show a net wealth of R12 million. Have a look at the Financially Independent Permit. 7. Do you want to study in South Africa? Do you want to start or further your tertiary studies in South Africa? Are you going to study a full-time course? You may be eligible for a Study Visa. 8. Are you emigrating to South Africa and your children has to continue their schooling here? Your children are dependents and will attend either preschool, primary school or high school. Have a look at the Study Visa. 1. Do you want to recruit a number of foreigners to work in South Africa? Do you need to employ a large number of foreigners for a project? Is this necessary for a limited time period only? Have a look at the Corporate visa. 2. Do your company want to transfer existing employees to your South African operation from abroad? Is the South African company a branch, affiliate or subsidiary of the overseas company? Would the employees only be needed in the South African office for a maximum of four years? 3. Do you want to employ a foreigner who either applied for a job or who you found yourself? Compare the Critical Skills Work Visa and the General Work Visa to see which visa might be more appropriate. How do you know if you qualify for a South Africa visa? An immigration eligibility assessment, done by an immigration expert, is the best way to determine if you are in fact eligible for any of South Africa’s visas. Such an assessment consists of a number of carefully considered questions to ascertain any migration pathways open to the applicant. Our immigration assessment is free as well as non-obligatory, and you can take it online. Subsequent to submitting your details, a consultant will get in touch to discuss your eligibility. How to apply for a South Africa visa? Once it’s clear that you do qualify for a South African visa, you can proceed with the application on your own or with the help of a professional company. Most people choose to work with an experienced company. Such a company, like Intergate Immigration, can guide the applicant through the rules of South African immigration, including the submission and follow-up process. Where do you apply from? Prior to 2014, you could come to South Africa on a visitor visa and change status from within South Africa. This is no longer possible. Since the legislation changes in 2014, any foreigner who’d like to make a first-time visa application for South Africa should do so from their country of origin or home country. Renewals can only be made from within South Africa, while a change of status or condition should be made from the applicant’s country of origin. What are the South Africa visa processing times? Visitor visas and temporary residency visas: These visas usually take between 8 to 12 weeks to reach an outcome. Some work permits, however, take up to a year to finalise. Permanent residency permits: The Department of Home Affairs currently takes up to 2 years to finalise permanent residency applications. Can a South Africa visa be renewed? It is possible to renew your temporary South African visa. You’ll have to be able to meet the specific visa’s extension criteria in order to do so though. For instance, extending a retired visa is a financial consideration in the main. You must be able to demonstrate that you have sufficient finances to support yourself for the extension period applied for. Another example is spousal and life partner visas. These visa extensions are dependent on the relationship still being in place and satisfactory proof that this is the case. It is vital to do renewals well in time to ensure your stay in South Africa stays legal. The Department of Home Affairs allow applicants to start applying for renewals 6 months prior to the visa expiration date, but no later than 60 days prior to the visa expiring. Who are the South Africa visa role players? Your immigration agent, if you have one. The Department of Home Affairs. Intergate offers a comprehensive immigration service for individuals, and companies, looking to relocate to South Africa. When making use of these services, immigrants enjoy access to a full relocation and visa support structure. Clients also benefit from the expertise of a team in excess of 40 individuals. The first service we extend to all prospective migrants is an immigration eligibility assessment, as discussed above. Should you complete an assessment with us, our consultants will explain the best way forward based on the outcome of the assessment. You’ll have a dedicated immigration consultant to assist you with all the important aspects of obtaining the correct visa and your relocation. Our experienced admin team will assist with the preparation and submission of your application, helping to ensure that it’s a smooth process whether you submit in South Africa or abroad. Our aim: To ensure our years of experience, with over thousands of successful applications, is put to use by providing you with a cost-effective, timeous and stress-free process. Depending on whether you submit your application in South Africa or abroad, you’ll submit either at a VFS office or at a consulate or embassy. These three offices all simply act as the go-between of the Department of Home Affairs. Not VFS, nor any consulate or embassy process your visa application – they simply receive it and check that all the information and documentation is in order before sending it to the Department of Home Affairs. The Department of Home Affairs process South African visa and permit applications and decide if a visa or permit is granted or rejected. Once an application is in the hands of the Department, there is nothing Intergate can do to expedite it. Intergate also cannot influence the Department Home Affairs to issue a positive outcome. The final decision of all South African visa applications rests with the Department of Home Affairs. Visits to family or friends, or for tourism purposes. Spouses to join a spouse who is in South Africa on a work or study visas. Children to join parents who are in South Africa on work or study visas. To work in the production of a movie or show, i.e. the entertainment industry. Medical purposes, when a patient requires life-saving treatment. South Africa has exempted certain citizens from certain countries of holding a visitor visa when the intended stay in South Africa is either 30 or 90 days or less. Citizens from these countries receive a visa upon arrival in South Africa. You can see a full list of exempt countries on the DHA website. A valid and acceptable passport or travel document for your intended stay. Sufficient funds to pay for your day-to-day expenses during your stay. How do you apply for a South Africa visitor visa? You must apply for a South African visitor visa at a South African mission or representative offices in your country or the nearest one to you. The mission or representative requires the original passport but will accept applications from third parties such as travel agents, immigration practitioners or courier services. Visas are not issued on arrival and must be obtained and affixed to your passport before departing on your journey to South Africa. Should you arrive without a visa, you may be refused entry and placed upon a return flight. What are South Africa visitor visa requirements? At least one unused page in your passport for entry/departure endorsements. Payment of the prescribed bee, if applicable. A vaccination certificate, if required by the South African Immigration Act. Or cash available, including credit cards or travellers’ cheques, to cover the living expenses during the sojourn in South Africa. Lodge a cash deposit or equivalent value to such a ticket. Most nationalities do not require transit visas for South Africa. You can view a full list of these countries on the DHA website. Who needs Business Travel visas? Foreigners who wish to enter South Africa on short-term business assignment require business travel visas, i.e. a visitor visa endorsed to carry out certain business activities. Business people, to attend meetings, making contacts, etc. Important to note: The visa holder may not get paid in South Africa. Temporary employees on assignment or training. Who needs Medical Treatment visas? This visitor visa is issued to people who want to visit South Africa for medical treatment of fewer than three months. Particulars of the appointment(s) made in South Africa. Full details of the person or institution responsible for the medical expenses and hospital fees. If your medical scheme or employer will be liable for the expenses incurred, proof of medical cover must be submitted. If you require medical treatment for longer than three months, you must apply for a temporary residency permit. 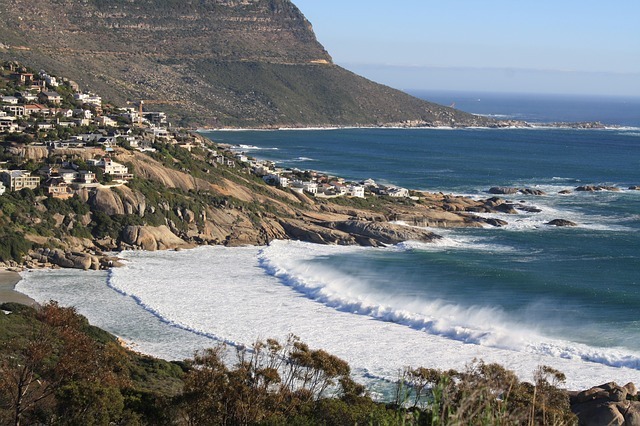 What are South African visitor visa processing times? The published processing times are 10 days, but it wise to check with individual missions and representatives at the time of the application. Can you extend a South African visitor visa? It is possible to extend a visitor visa. It is recommended to do it as soon as possible after your arrival in South Africa though. The Department of Home Affairs requires extensions to happen 60 days prior to the expiry of the existing visa. We welcome the opportunity to consult with you as to your eligibility for a South African visa or permit and to answer any questions you may have with no obligation. You can take our free assessment online, request a call back for more information, or give us a call on either +27 (0) 21 424 2460 or +27 (0) 11 234 4275.